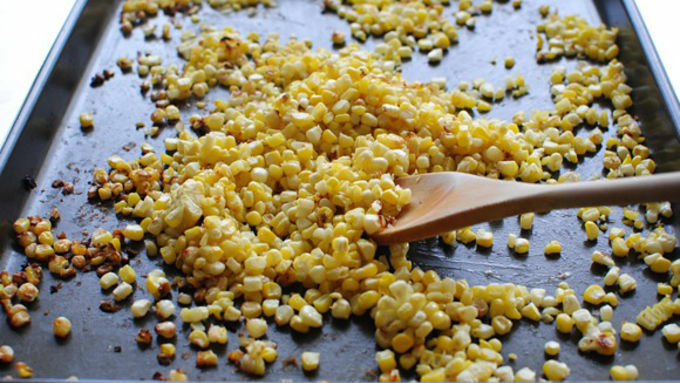 Spread the fresh corn out on a baking sheet. Stick under the broiler until they start to brown and crisp, anywhere from 5 to 7 minutes. You can drizzle a little oil over them if you want. Remove from the oven and set out to cool. Render the bacon until crispy. Set aside on paper towels to drain, then crumble or chop. 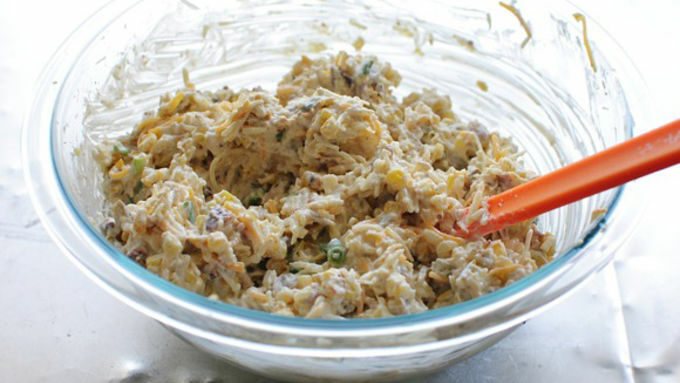 In a large bowl, combine ALL of the ingredients. Stir to get everything well-coated and combined. Cover and chill over night. I basically want to tailgate all the time so I can eat this dip. Holllaaaa it's almost fall. Which means football. Which means parties. Which means crisp days and chilly nights. Which means scarves. Which means fire pits. 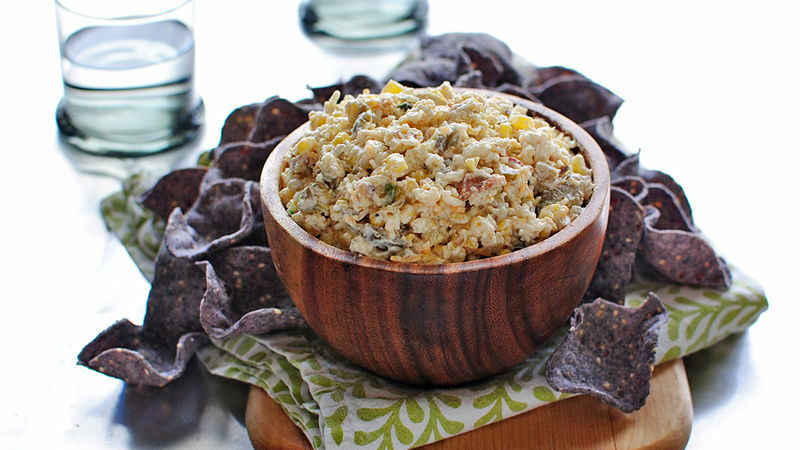 Which means this Spicy Corn and Jalapeno Dip and I'm about to freak my face off. Dips to me are like THU BEST food ever. You have the opportunity to dip one thing into another. And bring both things up to your mouth and insert all kinds of flavors and textures into your pie. How does that not just make you sing? 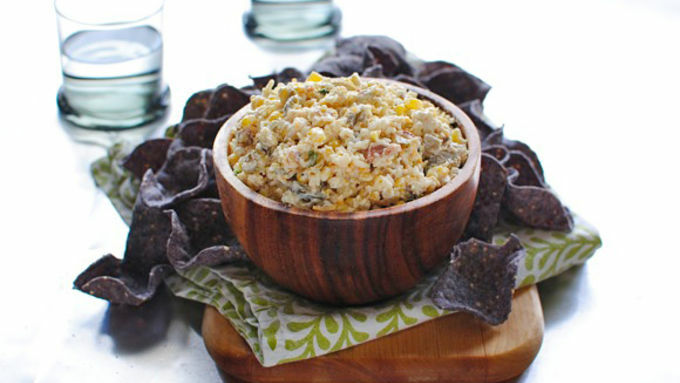 This corn dip is going to flip your entire life. It's the type of thing that you make a day before and chill overnight. Or you could make it in the morning and chill it during the day. Or you could wake up in the middle of the night, make it and chill it until lunchtime. You don't want to do that though. Or maybe you do! I'm not the boss of you. Let's make this thang. Cover and let it chill however long you want. I made mine late afternoon and snacked on it at like 9 in the morning the next day. And I'm not even sorry. Of course you'll grab a bag of Food Should Taste Good blue corn tortilla chips! I got the dipping kind with the little scoop in the middle. It makes me dance. And then serve! To yourself and no one else. You think I'm kidding. Do you see my face? This is not a kidding face.